ZANESVILLE, Ohio – Discussing ways to protect and empower people with solutions on how to survive a tragic situation. This was a topic of discussion at the Zanesville Noon Rotary Club today. 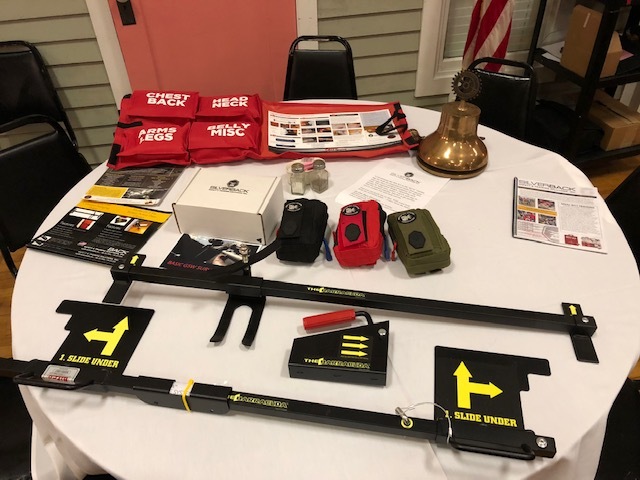 CEO of Silverback Safety and Training Solutions, Troy Lowe, spoke with the group about his company and the different solutions in a threatening situation. Silverback has trained with many schools, workplaces, and organizations to provide training and knowledge. “We’ve got one mission at Silverback, it’s just to save as many lives as we can. We do that through offering the gear, the lifesaving training. We also teach lifesaving techniques on basic gunshot wounds survival,” said Lowe. Lowe also showed off his invention of the Barracuda Door Systems. The Barracuda instruments are used as an additional layer of protection to secure a room. “It’s a seperate layer, additional layer of protection from an attacker that’s trying to get into your classroom, your business office, or whatever safe room that you’re in,” he said. To learn more about Silverback and the training solutions they have to offer, visit www.silverbacksafety.com.